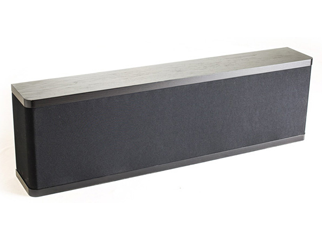 The Vandersteen VSM-1 is an advanced surface-mount loudspeaker that works equally well as a wall-mounted stereo speaker and/or the rear channel positions in a multi-channel audio/video system. Mated with the appropriate subwoofer, it is a superb full-range main speaker for domestic situations where larger speakers are not practical. In any situation, the VSM-1's moderate size and versatile placement options allow it to be successfully integrated into the decor of your home. 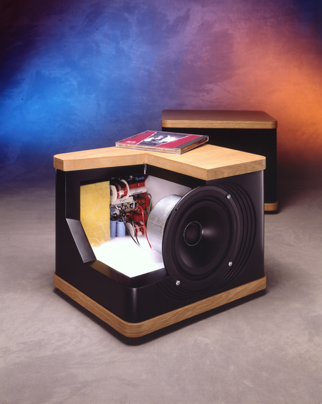 With stereo, imaging became part of home music reproduction. Modern multi-channel systems can add the third dimension and create an expansive, realistic soundfield. Most homes however, do not have the room to place the rear speakers where their drivers can fully converge and properly align at the listening positions. Without this critical alignment, the rear speakers will not match the time, phase or amplitude of the front speakers.(i.e. timbre and voicing). 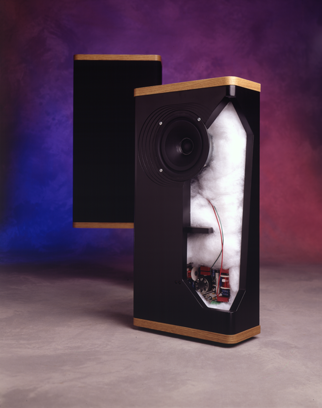 The VSM-1 is the optimal rear-channel speaker for these situations. Its coaxial woofer and tweeter share the same acoustical center so they are always perfectly aligned and converge within inches. When wall mounted in a typical living room, VSM-1s provide a superb timbre and voice match to Vandersteen’s center-channel and floorstanding speakers. They maintain this essential match regardless of their placement or proximity to the listeners. Their immunity to multi-driver interference insures consistent performance through the listening environment. The VSM-1’s innovative crossover circuitry insures that it can safely handle the high-power, low-frequency information that modern uncompressed/lossless surround soundtracks send to the rear speakers. Its front-firing, single driver configuration provides a high dynamic range without the multi-driver interference and distortions of bipolar designs. With its combination of convenience and performance, the VSM-1 can also be used as a high-quality remote speaker in multi-room installations. The VSM-1 combines classic strength and durability with innovative design and materials. Its coaxial driver uses a rigid, acoustically inert cast-metal basket to improve cone movement accuracy and reduce sympathetic resonances. The 6 ½ inch woofer's mineral-filled polycone insures high internal stiffness while the 1-inch alloy dome tweeter is ferrofluid cooled to increase power handling and critically damped for smooth response. The transient-perfect, first-order crossover's components, including high-quality film capacitors in the signal path, are hand soldered on a double-sided, plated-through circuit board for superior consistency and reliability. The input block is directly soldered onto the circuit board and the driver elements are connected with custom high-purity wire for maximum signal transfer. 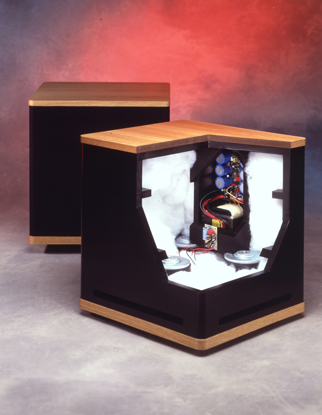 The enclosure is constructed entirely of MDF, a pressure-formed material that effectively resists vibration and controls cabinet resonances. 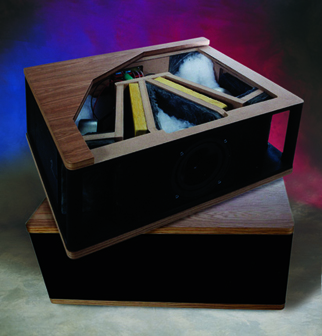 The unique mounting system uses the speaker's own mass to hold it tight against the wall for proper coupling and stability. Aligned coaxial design with a 6 1/2" die-cast basket polycone woofer and a 1" critically-damped, alloy dome tweeter.